The only reason why a price moves in any, and all markets, is because of the imbalance in supply and demand. The greater the imbalance, the greater the move in price. WHY DO SUPPLY AND DEMAND IMBALANCES OCCUR? The Currency and the Stock markets and the financial world in general is dominated and ruled by big investors, institutions, central banks and professional traders. They have the ability and capacity to move and change the markets with thousands of orders – These orders create the so called supply and demand imbalances. One single investor can change. Supply and demand is one of the four major factors that cause both long-term trends and short-term fluctuations. The other three factors are governments, international transactions, speculation and expectation. Government mandates like interest rates or spending or tax policy, impact international transactions, which play a role in speculation, and supply and demand plays a role in each of these other factors. Changes in supply and demand create trends as these market participants fight for the best price. 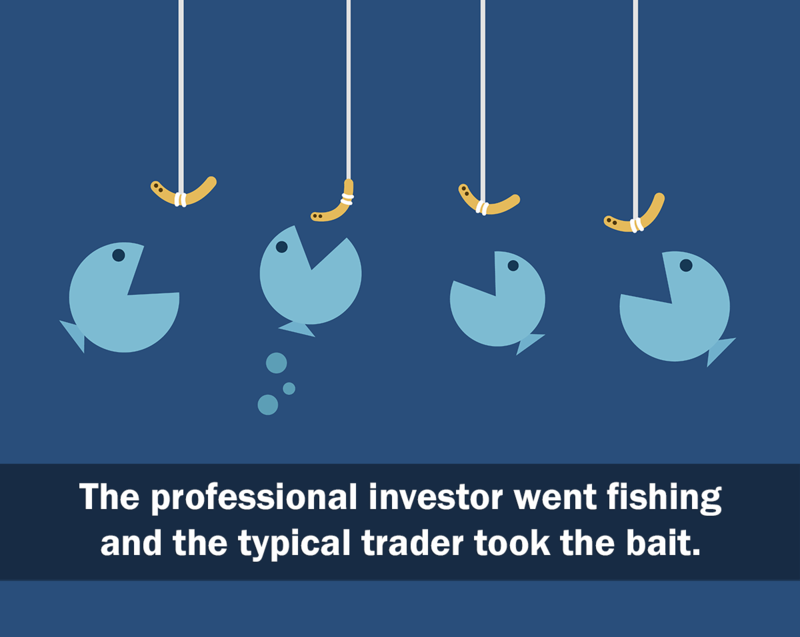 The retailer and small investor ends up becoming the bait, the liquidity the professional traders need to fill many of their orders. They can’t sell if there are no buyers interested. Every trader/institution has a different perception of fair price and future value. Supply is simply the amount available, while demand is the amount that is wanted. Supply is the amount available at a particular price, while demand is the amount that is wanted or desired at a specific price. As prices increase, a seller’s willingness to sell products will also increase. The opposite of this shows that as prices increase, we see demand reduces. Buyers will demand more when prices are lower. Check out some price charts and trade setups on the Supply ad Demand Forex and Stocks Daily Analysis Blog updated every day. Learning a supply and demand strategy will help you locate turning points in any markets in a methodical and consistent way. We are really good supply and demand citizens in real life scenarios, we're potentially great supply and demand traders able to learn a supply and demand trading strategy but when it comes to trading most traders will do exactly the opposite and trade against supply and demand, something they would never do when they want to buy a car, a cloth, a pair or shoes or a house. Why is it that we are consistently going against supply and demand logic we apply so well in our lives? Let’s imagine that your partner kindly ask you to go and buy some meat for dinner. You go to your favorite market and see the price of the steak you normally buy has almost doubled! It’s now going to cost you twice as much to enjoy your barbecue; you quickly begin to think how valuable that steak might be. 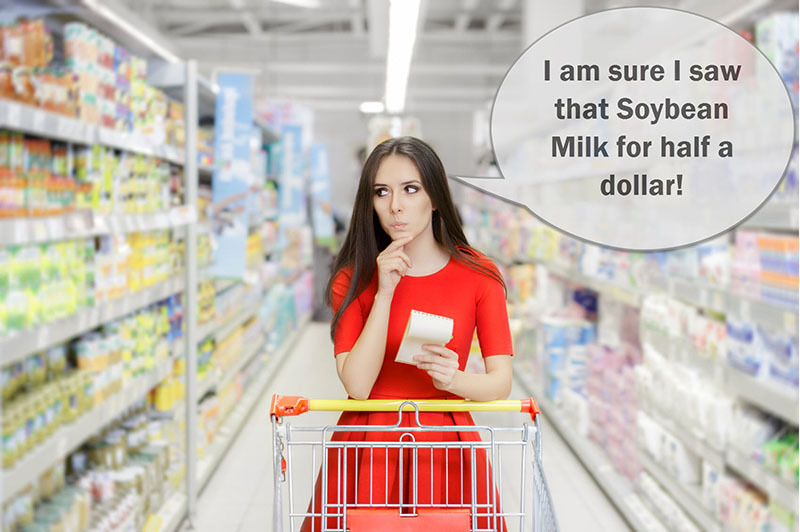 You begin to look at alternatives, such as hamburgers or maybe a chicken breast; replacement products with which you can get a similar result at a far lower cost. While you may decide to pay the increased price of that steak, you have to think of the market dynamics at work. Not every steak buyer would be interested in doing this; many would opt for replacement products because they could not afford the new higher price. This is a living example of a supply and demand. As the steak price increases, demand for steak decreases. The next week you go to the same supermarket, and see that steak is half of what you normally pay for it; it’s 80% off of last week’s price. Will you now think differently to the previous week? 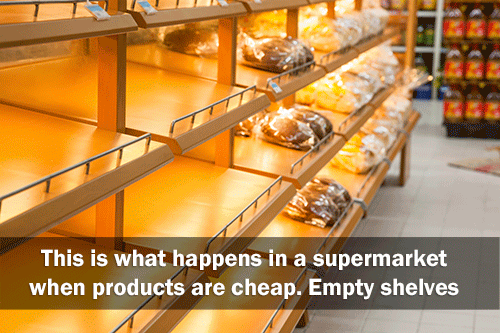 You will be thinking that you can buy more while the price is cheap. Other customers are buying while price is cheap, you realise that if you don’t act fast, all of the discounted meat will be gone before you make up your mind! You could buy a few steaks and conserve them in the freezer. This is demand at work again. As the price of steak lowered, demand increased, not only for you, but the market in general. This example is very similar to what we see on the Currency and Stock markets or any market.. The financial markets move trillions every day, and the reason for this is the heavy demand behind the traded assets. Currencies are the basis for the world’s economy. Whenever one economy wants to trade with another economy (provided different currencies are used) a Forex exchange will be required. Unlike markets that are traded through an exchange, each Forex broker is essentially creating a market. More or less, the charts will look the same, but individual bars can be different and price patterns in particular can vary a little from broker to broker. Ultimately, the various markets created by the brokers will, to some extent, be arbitraged (the simultaneous buying and selling of securities, currency, or commodities in different markets or in derivative forms in order to take advantage of differing prices for the same asset.) so they stay close to each other. In the end you have to trade what you see on your charts and ignore everything else. What we perceive as the personality of a currency pair is just manipulation. Some instruments have lower liquidity (some Forex cross pairs, exotic pairs and Stocks) zones are overshot and then price goes in the opposite direction. That is not the picture of “this instrument does not respect supply and demand” that is the picture of “this instrument is being manipulated, bear traps, and bull traps”. The financial markets are traded by professionals and not by retailers, each of them has its own trading strategy, most of them time not a supply and demand trading strategy but some of these big players do create these imbalances. A hunter has all sort of traps to capture its prey, so do the big institutions. We are trying to combat professional hunters, as retailers we are their prey. 1. LEARN HOW TO TRADE SUPPLY AND DEMAND IMBALANCES. A strict methodical rule based strategy to trade like professional traders do. No more lagging and colorful indicators. Indicators are not needed, supply and demand has all the information that we need to make our trading decisions. Types of supply and demand imbalances. Rule based supply and demand trading strategy to trade with the institutional supply and demand imbalances. What causes a bank to enter the market and why a reversal takes place. Why big investors can’t make trading decisions whenever they want and must wait until certain conditions are met before taking an action in the market. Why it’s key for banks and big investors to split their trades up into smaller sizes when they are entering the market. Why banks need an increasing amount of retail traders (small traders) to come into the market once they placed an order. 2. 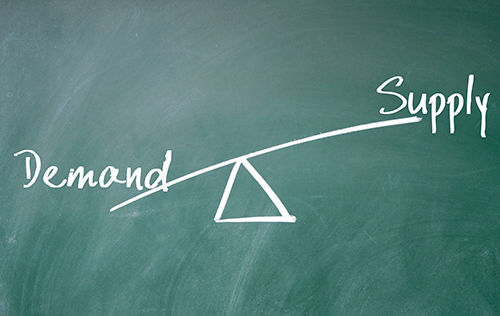 LEARN HOW TO LOCATE TURNING POINTS IN ANY MARKET USING SUPPLY AND DEMAND IMBALANCES. What are the most common candlestick patterns you will see at the origin of an imbalance. How to spot and what kind of base structure we want to see before an imbalance is created after price departs from the base. When and how is a new supply and demand imbalance created. How to validate and how to score a potential tradable supply and demand imbalances. What kind of confluences we must look for in order to enhance and score a level with higher accuracy and probability. How to locate where the big investors are beginning to take profits off their trades by understanding price action and the range. 3. HOW TO DEFINE A TREND USING IMBALANCES. WHEN TO TRADE WITH THE TREND, WHEN NOT TO TRADE WITH IT. How to define a trend using imbalances. How to define uptrend, downtrend and consolidation stages. How to draw trendlines and how to use them to assess the trend using them together with supply and demand imbalances. Learn about the Range, when it’s too high to buy or too low to sell. High probability trading with momentum or location trade setups correctly located in the Range. When it’s too low to buy and too high to sell. Learn a set of strict rules that will prevent you from taking trades when price is too high or too low in the bigger picture Range. The importance of multiple timeframe analysis (MTF), how to pinpoint the exact entry point with laser beam accuracy by using a three timeframes sequence combination. Why fractals work. How and why to choose your timeframe combinations, those to be used in your trading sequence. How multiple timeframes are related to each other and how to align with the bigger picture trend. How and when to use a sequence of timeframes to decide the highest odds trend direction. A trade valid in your sequence can be invalid in someone else’s sequence and viceversa It's important that you learn how to apply your custom supply and demand strategy. How to plan a trade using a strict rules set supply and demand trading strategy. How to locate turning points where the banks have placed their trades, how to plan your trade at the same location. When to take a trade and when not to trade. Doing nothing is the most important trading decision. Learn the different types of confirmation trades there are. How to use nested zones and confluences. When to trade counter-trend and how to use lower timeframe sequences to drill your entry down. Most common high odds scenarios supply and demand trade setups. What to do before, during and after important news events. Supply and demand applied to Indexes, Stocks and Commodities. How to scan Forex and Stocks looking for new setups. The psychology of trading, finding your why. How to build your trading plan. You will have access to a trading plan to trade with the trend, all rules and scenarios possible, exit tactics, risk reward, drawdown, daily routine, etc. Trade management and exit tactics. The importance of back testing the rules of your supply and demand trading strategy.